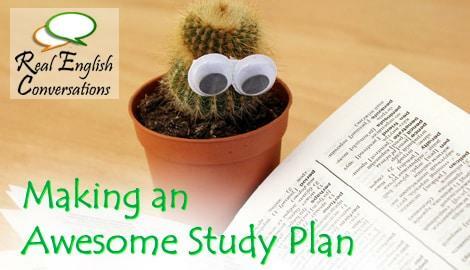 Confidently Communicate in English with the Best English Fluency Lessons Online! But you can always feel how your speaking delays, missing words and the weird ways you have to explain things continue to make you feel like an outsider in a crowd that you want to fit in with. When you get together with your friends, it’s a lot of fun. At the end of the night you know that you had a good time but… what exactly did you talked about for all those hours? You tell stories. Talk about random stuff that you’ve seen recently. Anything that has been Interesting or something that has happened to you. Really, anything that is mildly entertaining and worth mentioning. It’s about sharing your experiences and telling it like a really interesting story. As if your friends were there with you. It seems like it takes years of studying English just to be able to have a simple English conversation. The idea of hanging out with a group of native speakers laughing and joking like you do with your friends and family feels like a distant dream. When you finally get the basics down to hold a conversation, the focus changes to effective communication. If you can just understand other people and have them understand you, everything should be good. Once you are finally able to communicate, it seems like everything else should happen easily. 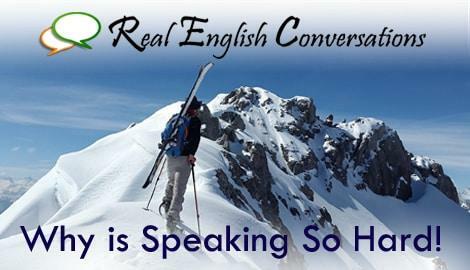 There is another stage where you need to learning the art of casual English conversation. Even if ‘sounding like a native speaker’ has always been your goal, this is the time where you really start to grow towards that natural way of communicating. To react naturally reaction to a joke with a witty comment or blurt out phrases while you play a game. Stories should be descriptive, interesting and above all… entertaining. Good storytellers sound interesting when they tell the stories. You have to speak like you want people to listen to you. Using tone, passion, suspenseful pauses and enthusiasm at the right times, the same way that you would in your native language. This takes practice, just like any other aspect of English. The good news is that there is no shortage of experiences you can talk about to practice your ‘storytelling’. “Dear Amy. You’re right about this! I applied what you’ve said about repeating it three times and I realize there was a great deal of improvement. I highly appreciate your beautiful work. Thanks a lot. Think about a story you would probably tell your friend or a family member. Something interesting that happened recently. Someone you’ve seen, somewhere you went, something you watched recently… whatever. Just think of some experience that is worth talking about. Something that is interesting to you. Practice talking about it in English the way you would in an everyday conversation with your friends or a co-worker during your break. You don’t need anyone to speak with either. Explain it to yourself. Practice telling the story knowing that nobody is listening or judging you while you think and figure things out. You will quickly see that you are missing some words or you don’t like how you are explaining things. There’s a struggle to fill the gaps when you are thinking. Stop and look up these words or phrases when you get stuck… and try again! Repeat your sentences when your are not satisfied with how fluently you explained it. Above all, practice explaining it with the same detail and the same way that you talk about things in your native language. 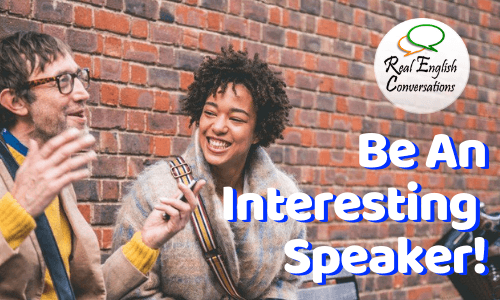 Not only is this is a fun way to practice speaking, it’s going to help your social skills in English as well. This really is the secret to being an interesting person to talk with. 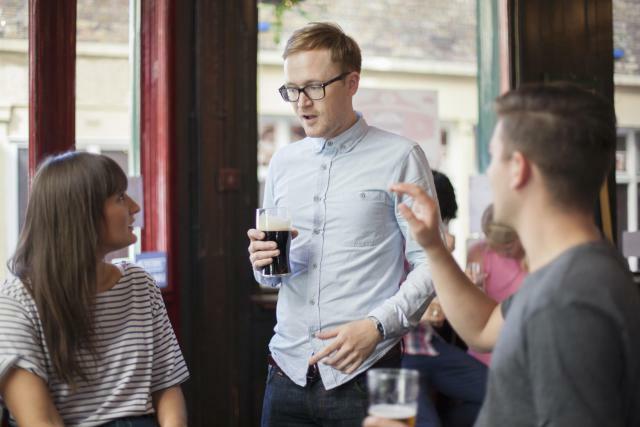 Tell stories that are interesting and people will want to talk to you more. This is the first step to long-lasting friends (with native speakers)! Thank you for these tips. I usually try my best to add tone, diction, and enthusiasm when telling personal stories or reading literature to my students. This definitely helps them understand it better, even if they don’t know all the words I am saying. You are right Megan! Tone and enthusiasm adds a lot to the message you are trying to communicate. 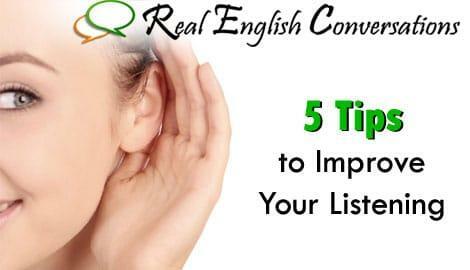 Not only it more engaging for the listener but it communicates the most important parts of the story. It important for language learners to realize this as well to help them communicate their message more effectively.